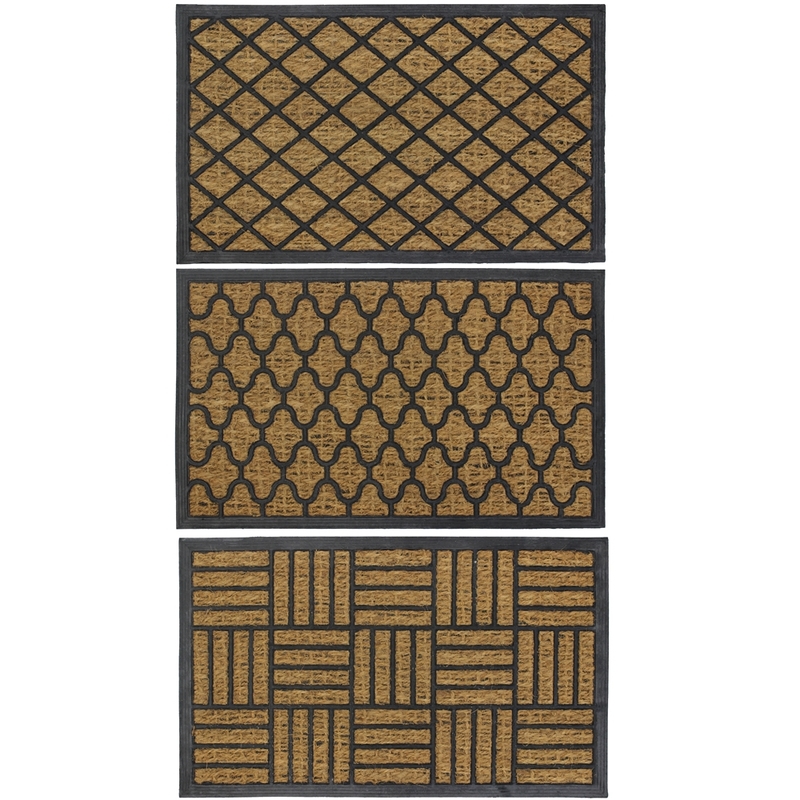 Attractive designs create a welcoming greeting to your guests. 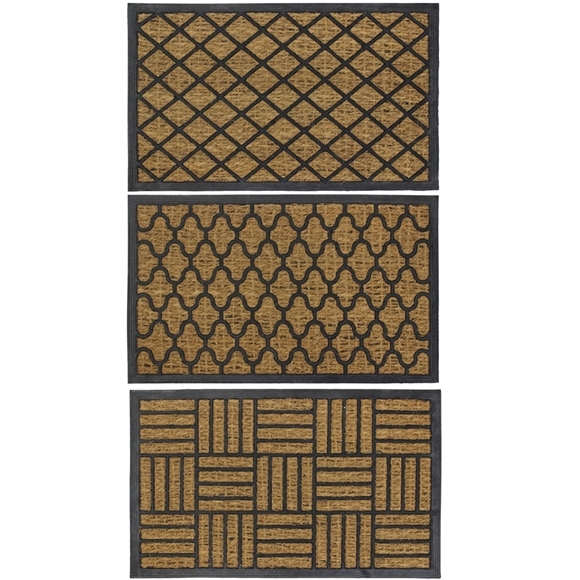 The woven coir moves away from the tradition style coir together with the rubber mix creates a statement piece and provides lightweight scarper qualities whilst the rubber ensures its's strong and durable. Three different designs, design will be sent randomly. Size: L:75 x W:45cm approx.